Yes! Our clinic has expanded and we are equipped to welcome you and your family for an evaluation as well as follow-up visits. Do you treat patients with dental emergencies? Yes, depending on availability, we will do our best to help you out in the case of an emergency. Do you process insurance claims ? Yes! If your insurance plan permits, we will transmit your claim directly online and, in most cases, we get an immediate answer. You will therefore be required to only pay the amount not covered by your plan. However, if your insurance company does not accept online transactions, we can supply a claim's form so you can request a reimbursement by mail. Are dental services covered by the RAMQ ? The RAMQ only covers dental services for children who are nine years of age or younger as well as people who receive social assistance benefits. What services are covered by the RAMQ ? For children nine years of age or younger, dental exams, fillings (silver fillings for molars and white fillings for front teeth) and tooth extraction are covered. Please note that preventive treatments such as cleanings, sealants and orthodontics are not covered. For people who receive social assistance benefits, dental exams, fillings (silver fillings for molars and white fillings for front teeth), tooth extraction and dentures are covered. Please note that periodontic treatments as well as crowns and bridges are not covered. NOTE: The RAMQ rules of tarification are quite complex, so please contact us for more information. What is the difference between silver and white fillings ? Silver fillings (amalgams) consist of a metallic alloy of silver, copper, tin and mercury, which allow the fillings to be molded into place. Solid, they have an average durability longer than white fillings and are less costly. However, since they are made of metals, in order to ensure proper retention to the tooth, a dentist may have to scrape away healthy parts of the tooth, which inadvertently destroys the tooth matter. As well, in the long term, amalgam fillings have a tendency to expand and that could result in tooth cracks or fractures. On top of having poor esthetics, the mercury has also seen some controversy over the last few years. However, amalgam is still accepted as a safe material for fillings. White fillings (composites) contain plastic particles with photosensitive ingredients that harden when exposed to light. Since white fillings chemically bond to the tooth, less tooth structure is removed, therefore causing less destruction of tooth matter. These fillings are averagely less durable than silver fillings but they are superior in regards to esthetics. How important is a six-month check-up ? In dentistry, as in other domains, prevention is key. Regular check-ups allow the dentist to detect potential problems, which results in early treatment and less invasive procedures that could become costly. For example, if a tooth receives a sealant, a possible cavity will be avoided; a root canal will not be needed as a cavity nor an abscess will develop. In the same vein, oral cancer could be detected and treated in its early stages, before it speads and evolves through a fatal issue. Why may it be necessary to consult a specialist ? A general dentist, much like a general doctor may, in certain cases, refer a patient to a specialist. Specialists have completed extra courses giving them particular expertise in the following areas: Oral an Maxillofacial surgery, Orthodontics, Peridontics, Prosthodontics, Endodontics, Pediatric Dentistry, as well as a speciality in Oral Medicine. These specialists will share their expertise, whether it is a diagnosis in a complex case or perform complicated procedures. Your dentist receives no commission for referring you to a specialist; your dentist's goal is simply to provide the best treatment possible for you. Are dental X-rays dangerous ? While all radiation procedures do involve risk, the amount of radiation generated in dental X-rays is minimal. Actually, four interproximal traditional X-rays (on film) expose patients to only 0.038 mSv (millisievert, = 1 REM = 0.01Sv) whereas one panoramic X-ray exposes patients to 0.007mSv, which is highly inferior to the maximum recommended exposure per year. It is also good to know that our entirely digital x-ray equipment allows us to significantly reduce these numbers. For the general population, Health Canada recommends a maximum of 1mSv. For those working with radiation (for example, a dental team), the maximum is 20 mSv per year. We take great care in protecting the body from radiation exposure by using a lead apron. Today, the standard of care in dentistry is to perform regular X-ray exams. Should you refuse, your dentist may, in turn, refuse to treat you. Dental X-rays are an essential part of an accurate diagnosis so take advantage of them. I am pregnant. Can I undergo dental procedures ? In the majority of cases and for the majority of treatments, there is no risk for pregnant women to undergo dental procedures. It is acutally recommended to visit your dentist at the beginning of your pregnancy to maintain good oral health, which prevents possible complications during pregnancy. A pregnant woman with gum disease is from one to seven times more at risk of delivering a small or premature baby. However, for safety reasons, seeing that the baby's organs develop during the first trimester, we postpone any non-emergency related treatments until the second trimester. Receiving such treatments in the third trimester is also an option, but is much less comfortable for the patient when lying down, due to the baby's weight. In regards to X-rays, remember that a lead apron is used to protect the body which evidently protects the baby should they be absolutely necessary. I don't have any teeth. Is it necessary to see a dentist ? 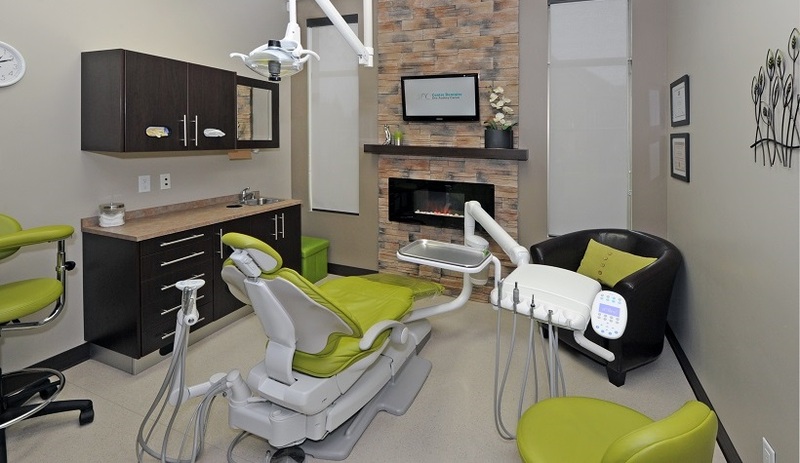 Your dentist is not only a tooth specialist, but also an expert in overall oral health. During your exam, your dentist will meticulously check all parts of your mouth tissue that could be affected by dentures; for example, your dentist can detect a yeast infection through a dental exam. Your dentist will also check for oral cancers and even suggest a jaw X-ray to be sure every part of your mouth is in good health. At what age should a child undergo his/her first dental visit ? As soon as your child has teeth, we will be happy to see him/her for the first visit. Even if your baby may not allow the dentist to check his/her teeth, we will happily answer your questions and give you information to ensure your baby's optimal oral health. The first dental visit usually occurs at the age of three. However, some children may already need extensive treatments at this young age (baby bottle decay or early childhood decay). If this occurs, your dentist will refer your child to a Pediatric Dentist who is specialized in such cases and may even perform procedures under general anaesthesia. How important is it to repair baby teeth seeing that they will eventually fall out ? Primary teeth, which total twenty, generally appear between the ages of six months and two years. These teeth are maintained during a five to ten-year period. During this time, healthy teeth help your child chew food properly, develop speaking abilities, feel good from having a nice smile as well as keeping proper space for adult teeth to come. It is then for all of these reasons, and because we also want to avoid pain and infections to your child, that we repair baby teeth. Myth #1: "Wisdom teeth must be removed in order to avoid over-crowding." This common myth is completely false. Studies show that, with or without the presence of wisdom teeth, teeth move as a person ages and this is due to jaw development. There are many reasons to remove wisdom teeth but this is not one of them. Myth #2: "Each time I was pregnant, I lost a tooth." We can blame babies for many things, but this in not one of them! While hormones do affect gums during pregnancy, it is most probably poor oral health or simple negligence that created this myth. Ladies, if you take care of your teeth and visit your dentist regularly, you have nothing to worry about. Myth #3: "I have osteoporosis so it's normal that my teeth break." Oesteoporosis, calcium, bones and teeth: one may think these support the myth but nothing could be farther from the truth. As teeth appear in a person's mouth, the amount of calcium never changes, except in regards to cavity formation. Cavities will demineralize your teeth, with or without osteoporosis. If you always have taken care of your teeth and visit your dentist regularly, you have nothing to worry about. Myth #4: "My mother lost all of her teeth to gum disease, so the same thing will happen to me." Even though genetics play a role in the development of gum disease, loosing your teeth is not a fatlity. People who have gum disease in their family can easily keep all their teeth for a lifetime if they work at it: a rigorous dental routine and regular check-ups will prevent such problems.